Forensics originated from the term "forensis" which is Latin for “pertaining to the forum.” The Roman forum was a multidimensional space of negotiation and truth-finding in which humans as well as objects participated in politics, law, and the economy. With the advent of modernity, forensics shifted to refer exclusively to the courts of law and to the use of medicine, and today as a science in service to the law. The present use of forensics, along with its popular representations have become increasingly central to the modes by which states police and govern their subjects. 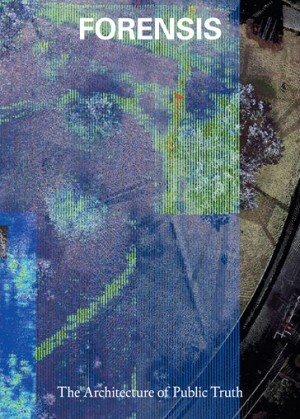 The condition of forensis is one in which new technologies for mediating the ‘testimony’ of material objects—bones, ruins, toxic substances, landscapes, and the contemporary medias in which they are captured and represented—are mobilized in order to engage with struggles for justice, systemic violence, and environmental transformations across the frontiers of contemporary conflict. The catalog for the exhibition can exclusively be ordered through the publisher SternbergPress.